Now that it is over and Manny Machado and Bryce Harper have their money and their jobs, the beginning of baseball’s real season — the border war between owners and players — can begin. Owners have re-established control of the reserve system, free agency and long-term contracts, with a big assist from the public. 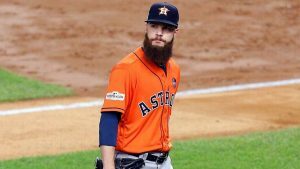 As late as March 1, scores of free agents were still unsigned as front offices divest from players who are 30 or older — All-Star outfielder Adam Jones is 33, Cy Young winner Dallas Keuchel is 31, closer Craig Kimbrel is 30. At the same time, teams manipulate the service time of big-league-ready young players such as Vladimir Guerrero Jr. by leaving them in the minors. Teams do this assured in the knowledge that while these veteran and rookie players could obviously help a team, the public condones the anti-labor practice of tanking. Many teams simply aren’t trying to win, and fans don’t care. Clark gets the blame for the bad CBA signed in 2016; he’s been criticized for conceding too much ground to the owners while angering agents by not sufficiently consulting them during negotiations. The average MLB salary is still $4 million, the minimum salary now $550,000, the one-year qualifying offer $17.9 million. But today’s player, across sports, was born into a country that has demonized labor so thoroughly that some of them do not even believe philosophically in the principles of unions and more quickly turn on one another. It should forever be remembered that when the owners squeezed veterans in the NBA and NFL, the players responded by attacking younger players, advocating for a rookie wage scale.